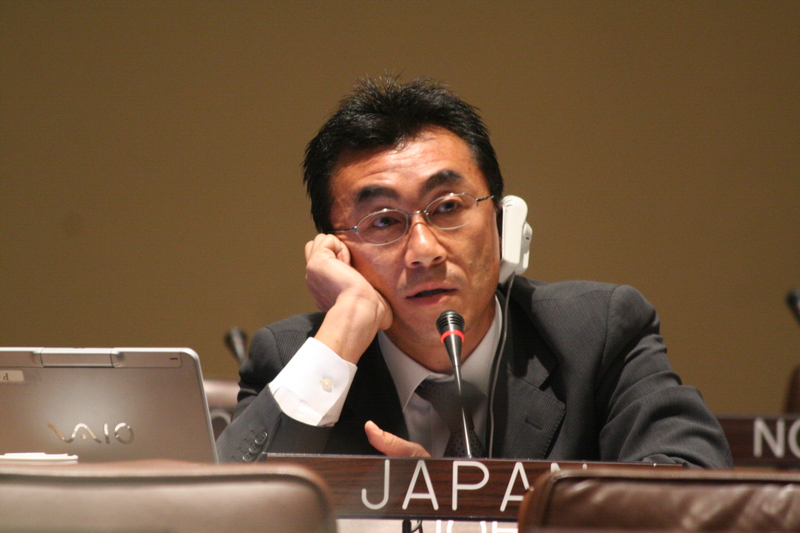 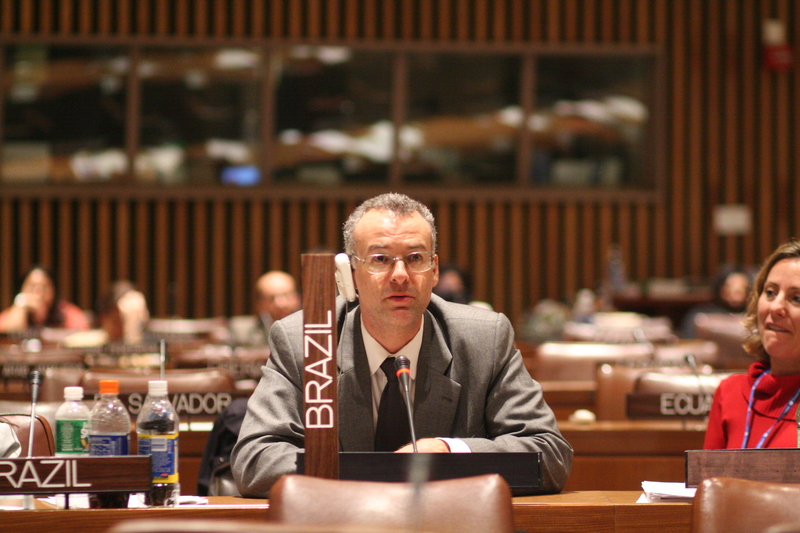 On Friday, 27 April, the seventh session of the United Nations Forum on Forests convened for its final day. 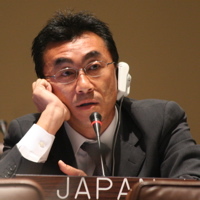 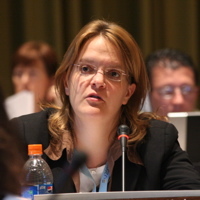 In the morning and early afternoon, delegates met in a contact group to condtinue deliberation of the Non-Legally Binding Instrument draft text, and in Working Group II and a contact group to address remaining brackets in the text of the Multi-year Programme of Work and its associated matrix. 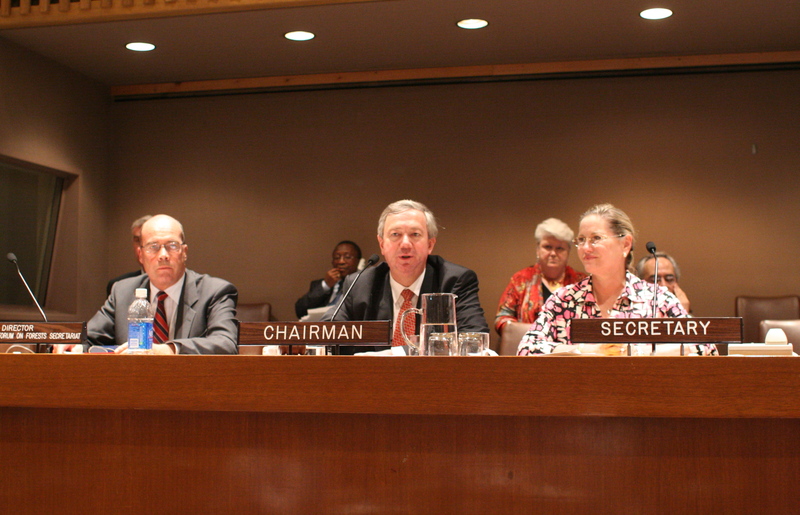 Deliberations in both groups continued through the night, before a final plenary convened at 04:40. 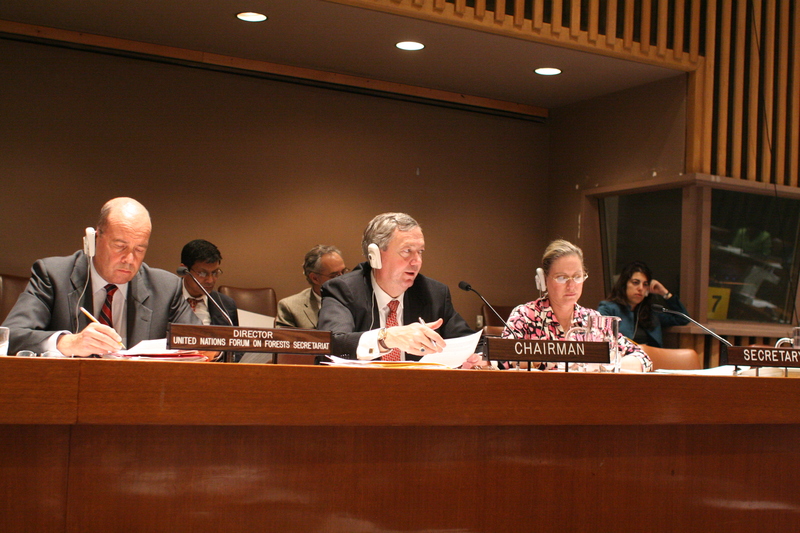 In plenary, delegates adopted the NLBI draft text at 05:10 and the Draft Resolution for adoption by the Economic and Social Council at 05:23. 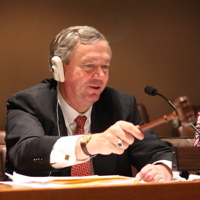 Working Group II Co-Chair Arvids Ozols introduced elements of the MYPOW which were linked to language in the NLBI, and delegates adopted the MYPOW at 05:57. 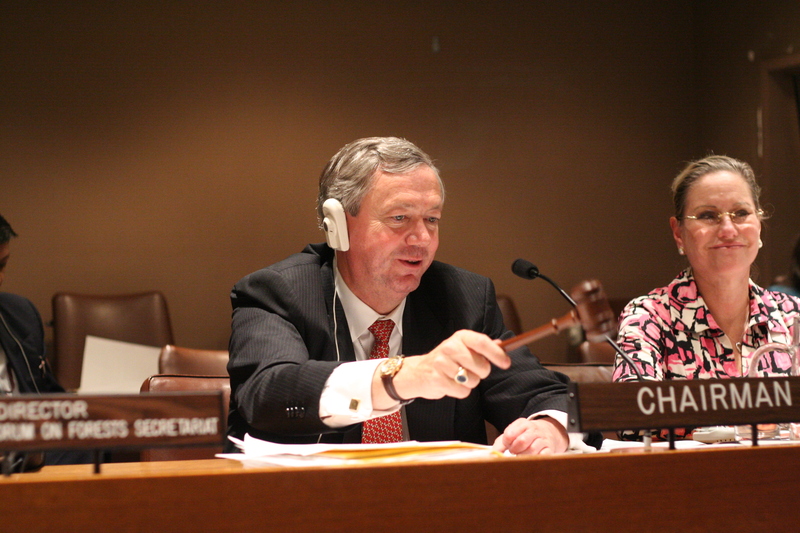 After other agenda items were completed, delegates approved the report of the session, and after final remarks and thanks from several parties, Chair Hoogeveen adjourned the session at 06:30. 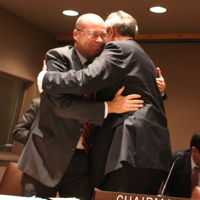 Above: UNFF7 Chair Hans Hoogeveen and UNFF Secretariat Director Pekka Patosaari conferred. 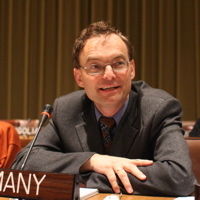 Working Group II met in the morning, afternoon and evening to discuss remaining areas of disagrement in the MYPOW draft text. 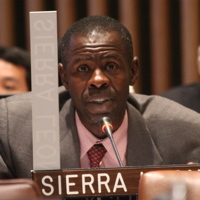 Sierra Leone, for the African Group. 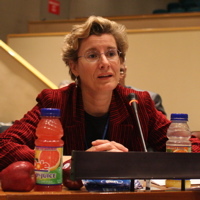 Stefanie von Scheliha, Germany for the EU. 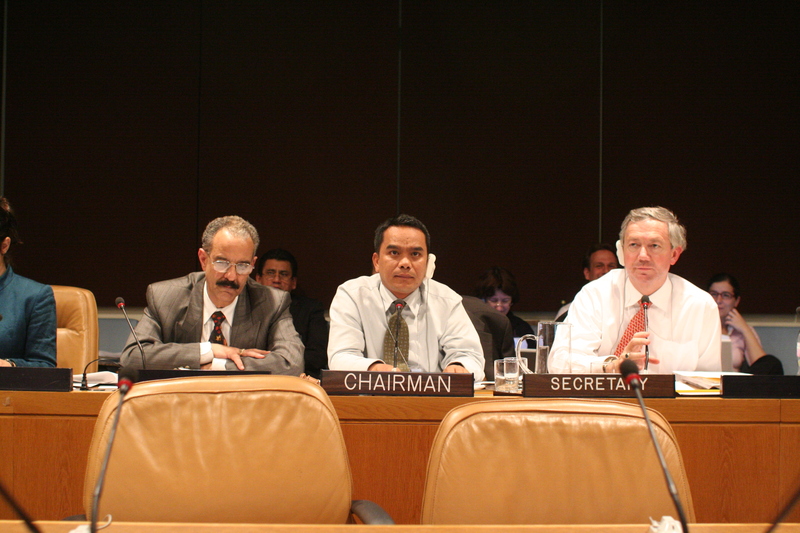 During the afternoon, a contact group met, chaired by Javad Amin-Mansour, Iran, to discuss the MYPOW matrix and related paragraphs. 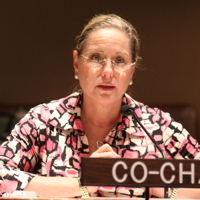 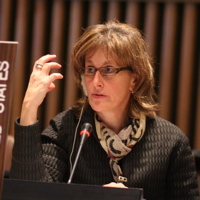 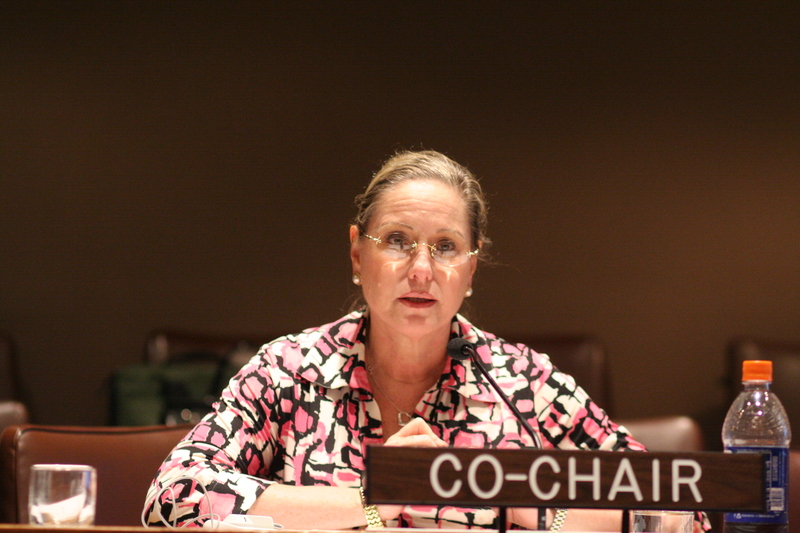 Vivian Pliner-Josephs, UNFF7 Secretary, explained General Assembly guidance on reference to "resources." 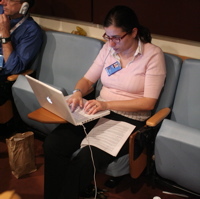 In the morning and afternoon, Working Group I participants met in a contact group to further discuss the NLBI draft text. 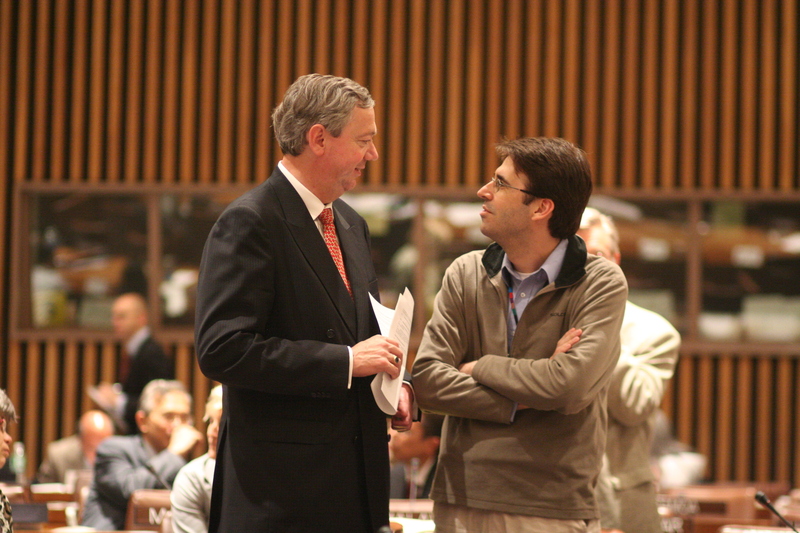 At 17:52, Chair Hoogeveen reconvened plenary to ask delegates whether they were willing to continue in English only, without translation, after 18:00. 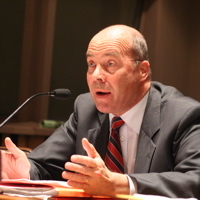 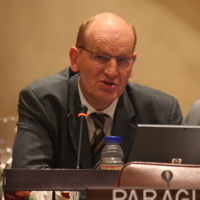 Hearing no objection, he declared the proposal accepted and adjourned plenary at 17:54, with Working Group II and the contact group on the NLBI continuing. 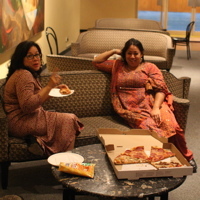 In the evening, the contact group on the NLBI continued in a different room. 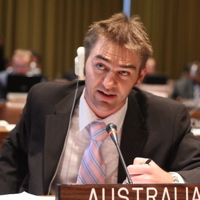 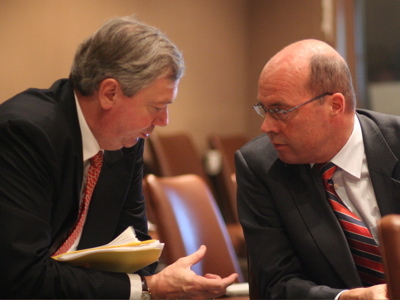 The contact group on the NLBI completed its deliberations at 04:10 Saturday. 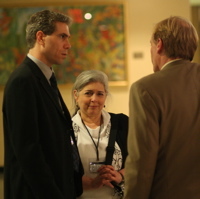 Co-Chair Arvids Ozols introduced elements of the MYPOW which were linked to language in the NLBI. 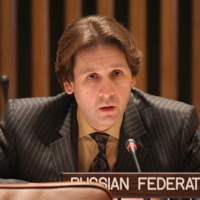 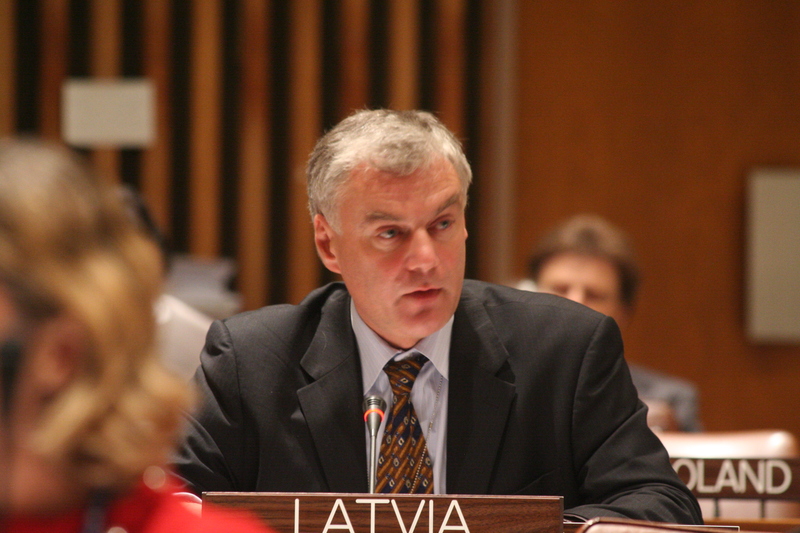 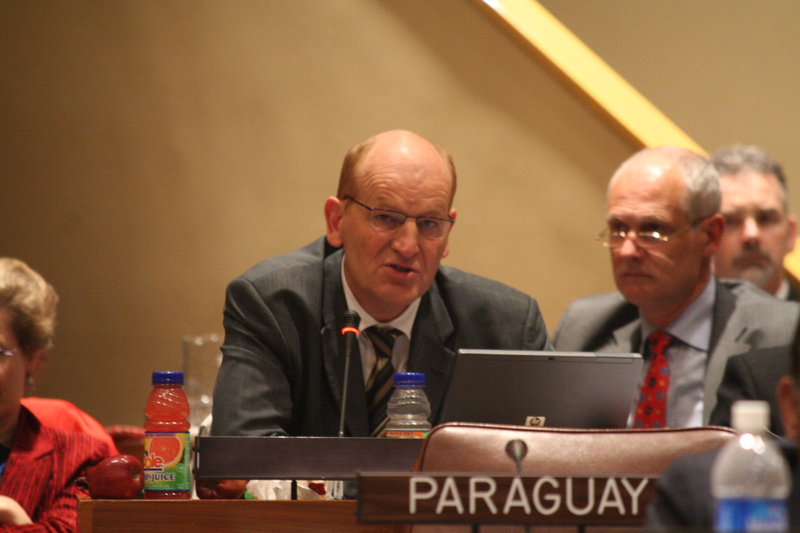 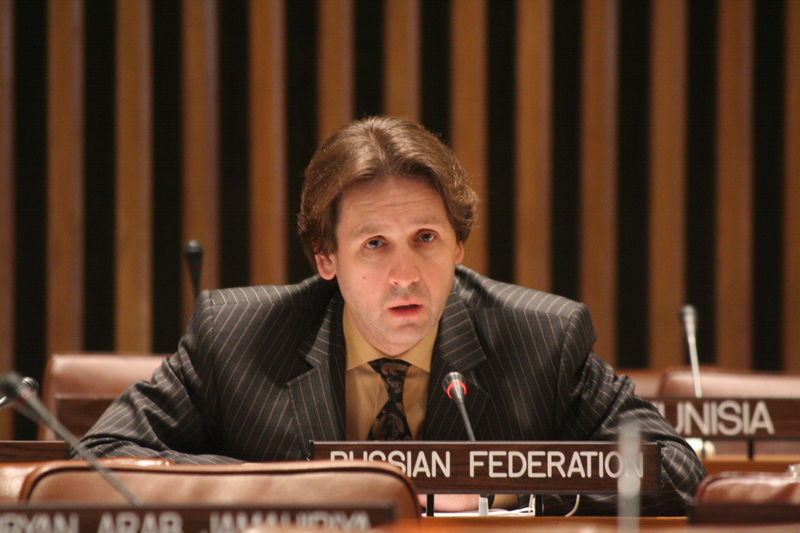 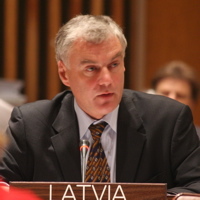 UNFF Director Pekka Patosaari expressed extreme happiness at the success of the meeting. 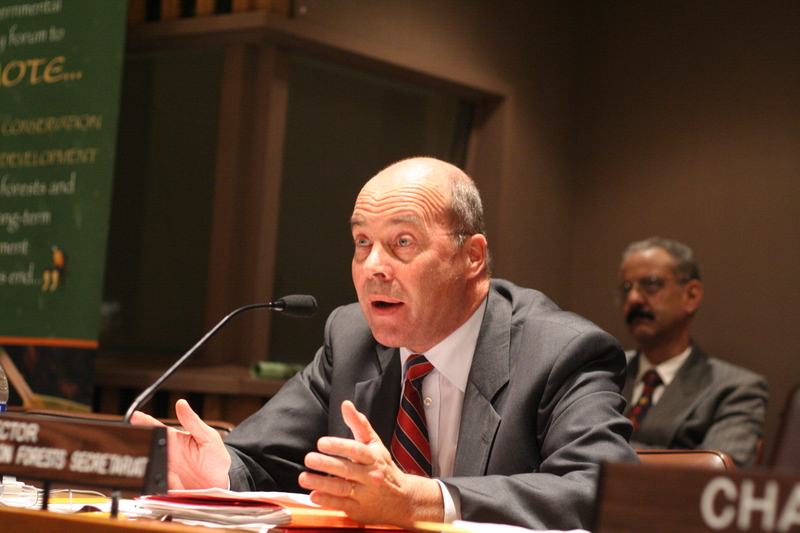 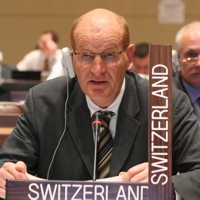 Christian Küchli, Switzerland, announced plans to co-host a country-led initiative in South Africa on forest governance. 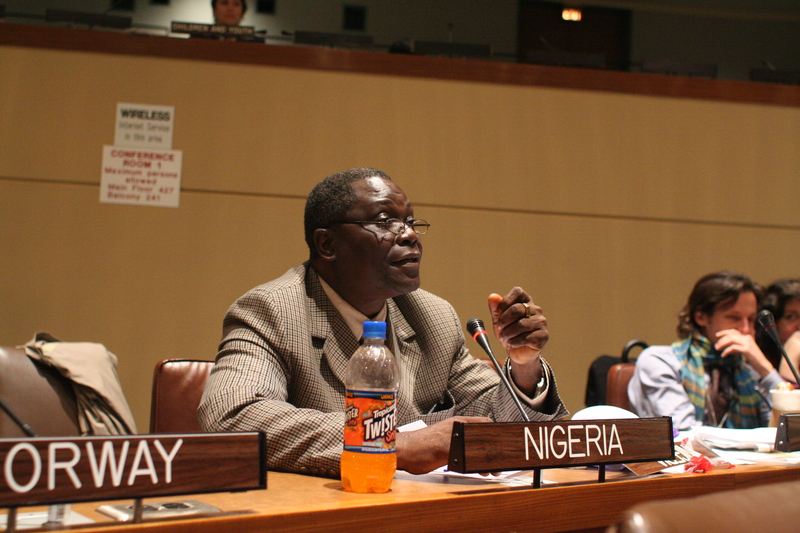 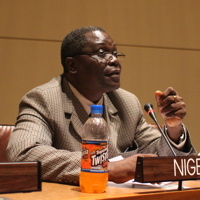 Nigeria, for the African Group, thanked "the ever jovial Mr. Pekka" and the Secretariat. 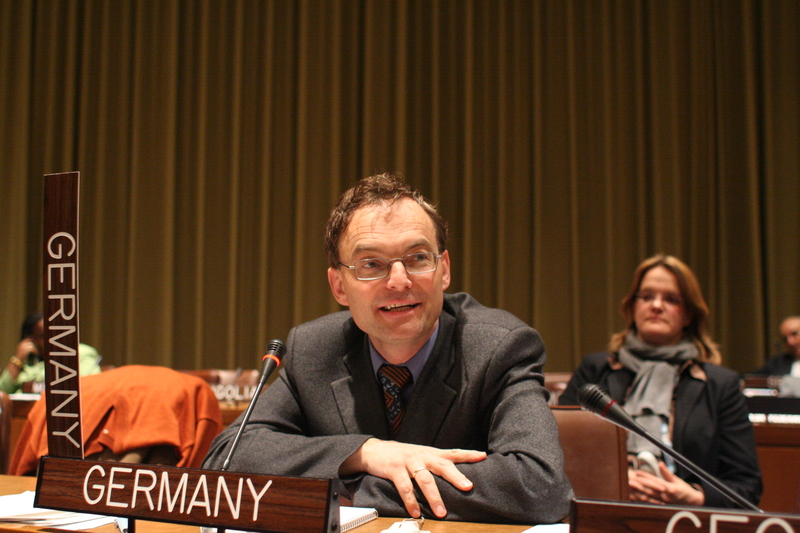 Matthias Schwoerer, Germany for the EU, thanked participants for their efforts. 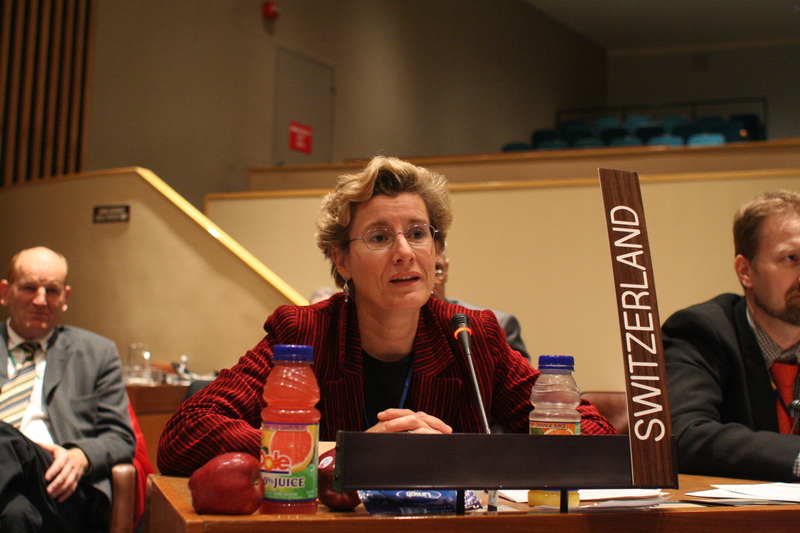 Sibylle Vermont, Switzerland, awarded the promised box of Swiss chocolate to the Secretariat for their hard work. 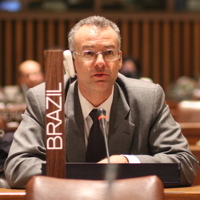 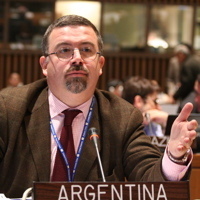 Bernardo Velloso, Brazil, praised the Secretariat and participants. 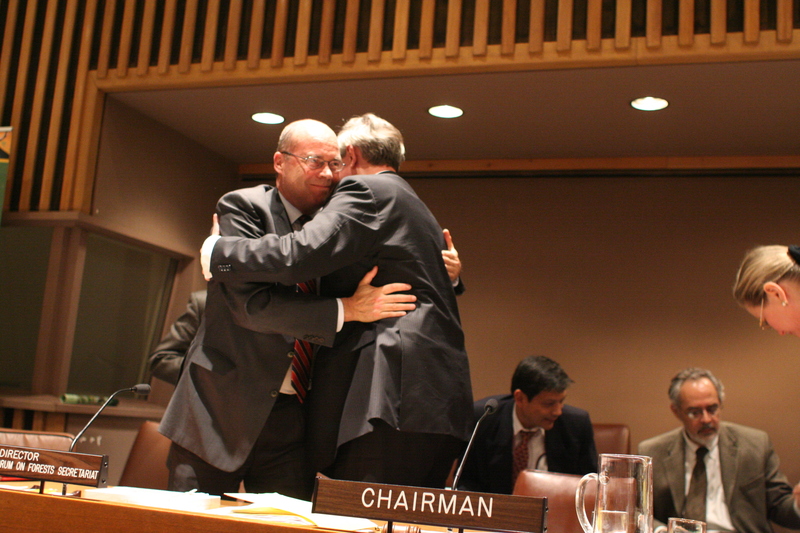 UNFF Director Patosaari and Chair Hoogeveen shared a congratulatory embrace. 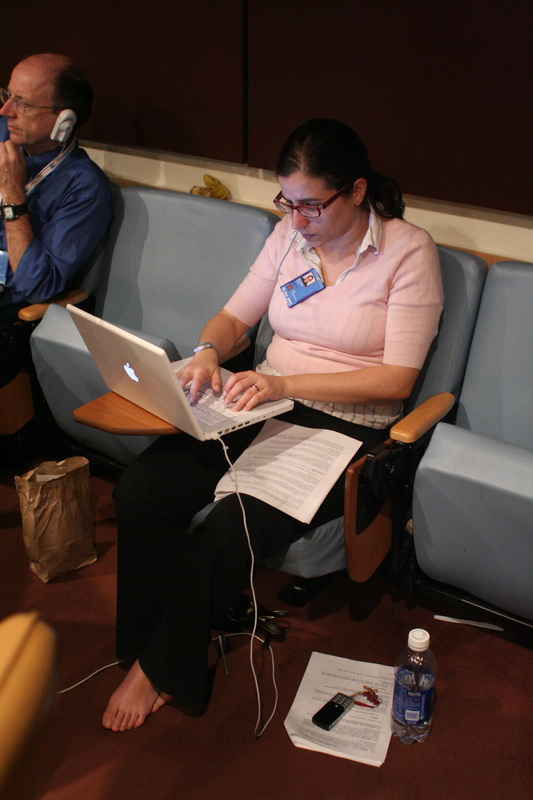 Earth Negotiations Bulletin's Reem Hajjar took notes in the NLBI contact group. 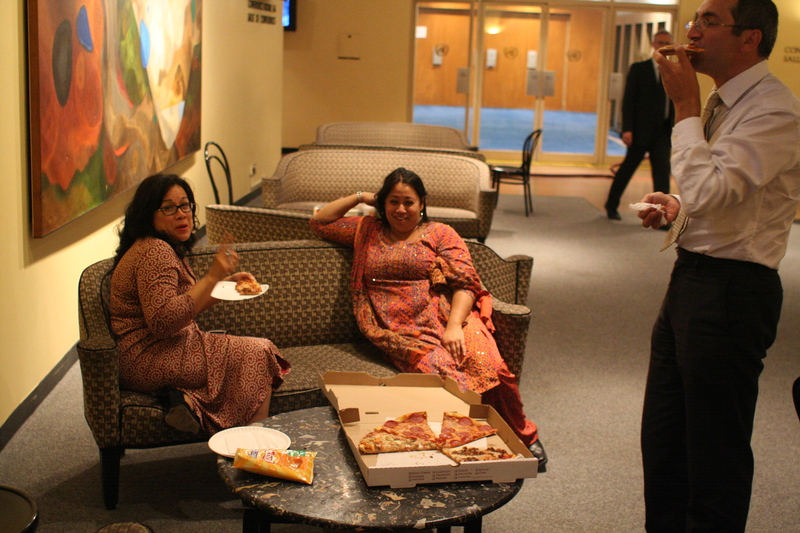 UNFF Secretariat staff used a pizza for late-night energy. 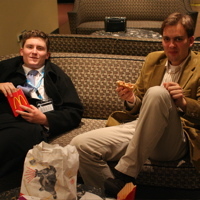 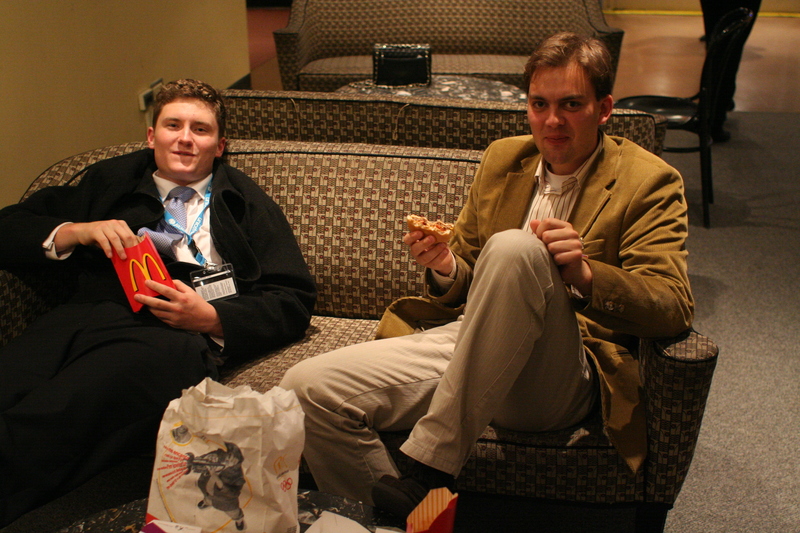 Finding the pizza parlor closed, Children and Youth delegates settled for burgers and fries. 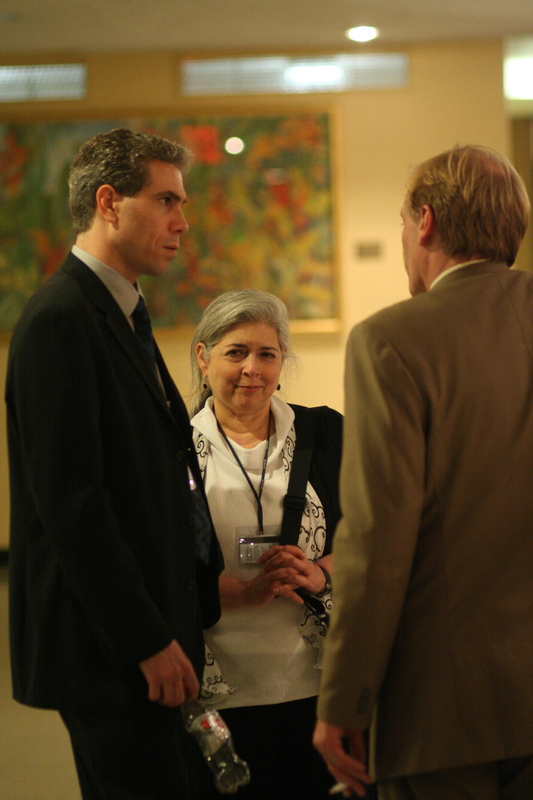 US delegates conferred in the corridors. 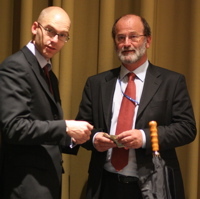 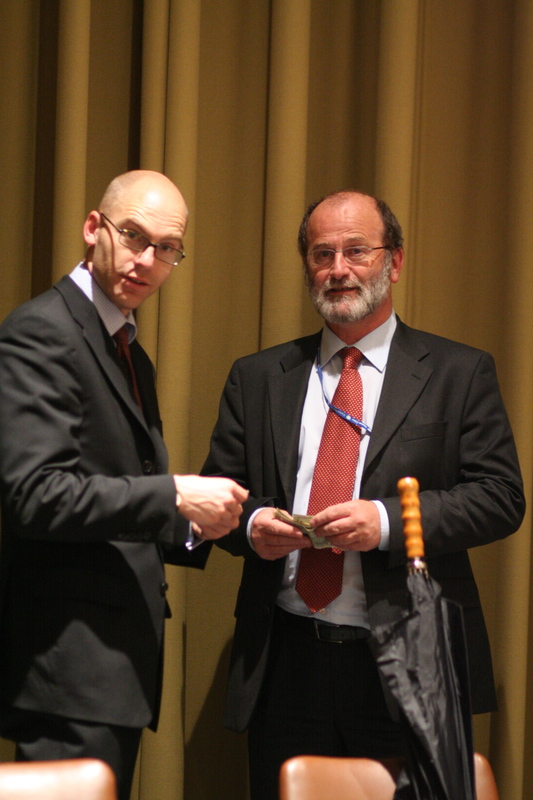 Patrick Verkooijen, Netherlands, gave Fons Gribling, Netherlands, his prize for the closest guess to the actual closing time of the meeting. 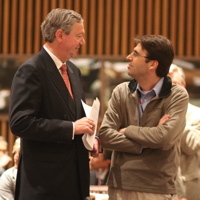 Chair Hoogeveen and Tasso Rezende de Azevedo, Brazil, chatted before closing plenary. 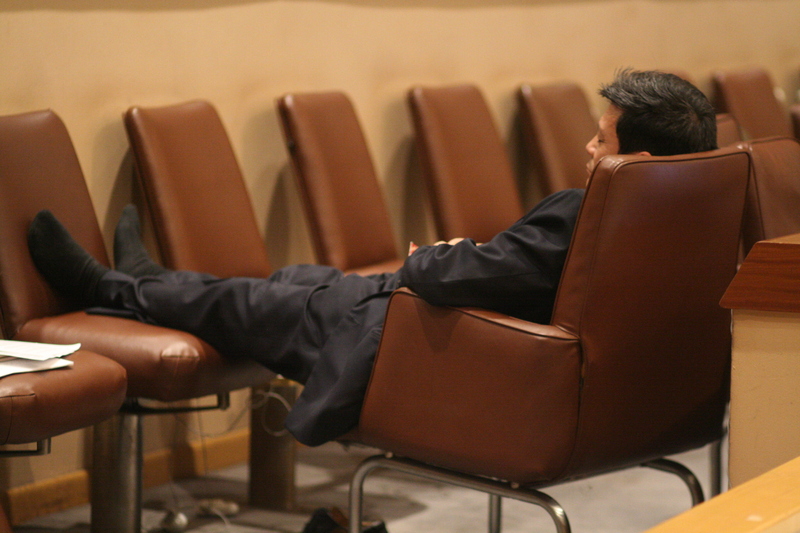 An anonymous participant napped during a break in the all-nighter.